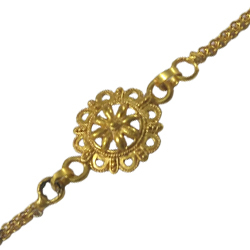 Order for your dear brother, cousins or close people, this Fancy Rakhi of 24k Gold Plated and pray for their good fortune on Raksha Bandhan. The Rakhi design may differ a little. Celebrate Rakhi by sending this Delightful 24 carat atristically designed 2 Rakhi. Celebrate Rakhi by sending this Delightful 24 carat atristically designed 3 Rakhi. Celebrate Rakhi by sending this Delightful 24 carat atristically designed 4 Rakhi.